12:14 PM -- A rep for Instagram tells TMZ the ad has been removed and adds, "We're sorry. This ad was approved by mistake. We reviewed it again and removed it from future delivery in people's feeds." The company reviews millions of ads each week and sometimes mistakes are made ... that's clearly what happened here -- as the ad violates IG company policy -- and it was taken down. 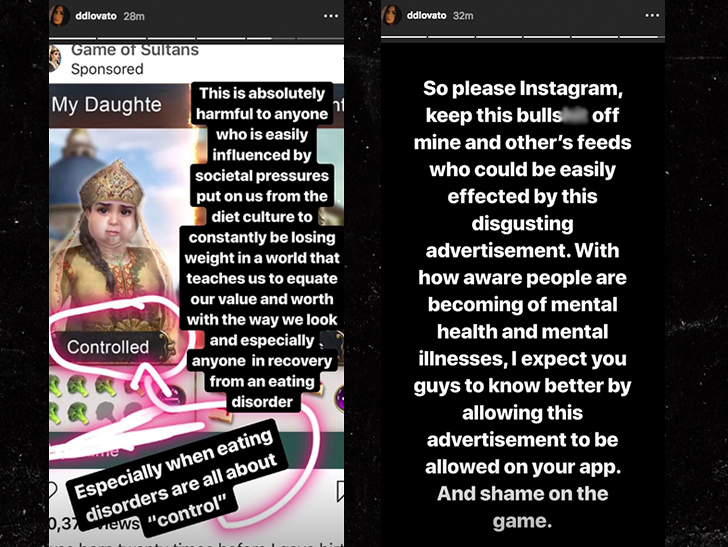 Demi Lovato just went nuclear on Instagram ... for allowing a disgusting ad fat-shaming women to end up on her feed. The singer blasted the social media platform Friday with several posts ... going off after a sponsored ad for a mobile game appeared. 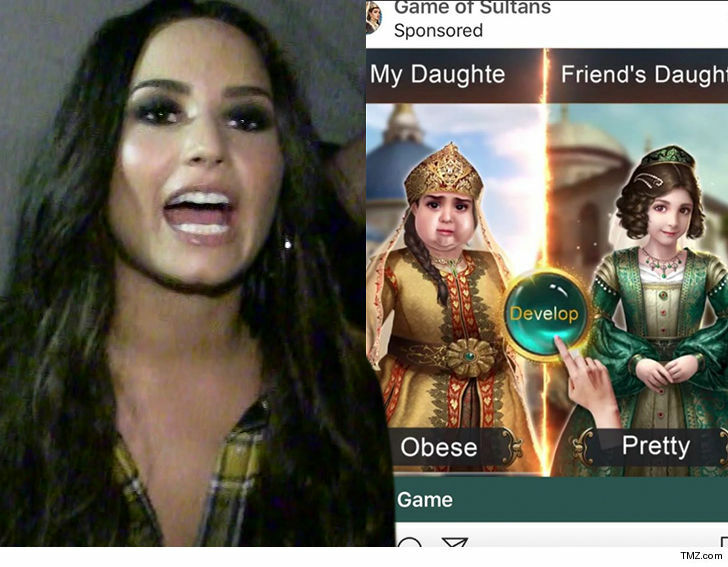 Demi wasn't having it ... straight-up asking how the mobile app "Game of Sultans" can get away with fat shaming. You can see in the ad a character on the left labeled as "obese" and the one on the right dubbed "pretty" ... we guess subtlety is not part of the game. Demi's message -- the ad's wrong on so many levels because it can inflict pain and harm on those who struggle with eating disorders. 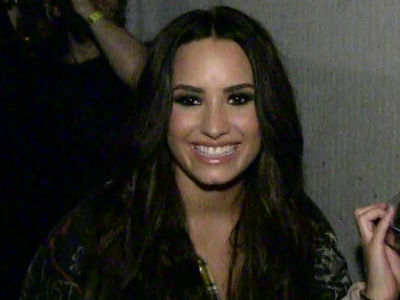 This, of course, struck too close to home ... Demi's been open about her body image and food shaming herself. She's adamant, "Keep this bulls*** off mine and other's feeds who could be easily effected by this disgusting advertisement."